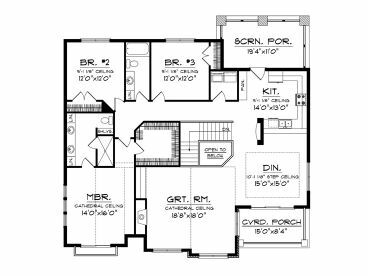 First Floor 852 sq. ft.
Second Floor 1897 sq. ft.
Width 51 ft. 0 in. Approx. Height 37 ft. 0 in. Front facing gables mixed with a stone and shingle façade give this unique garage apartment plan a rustic, yet inviting look. 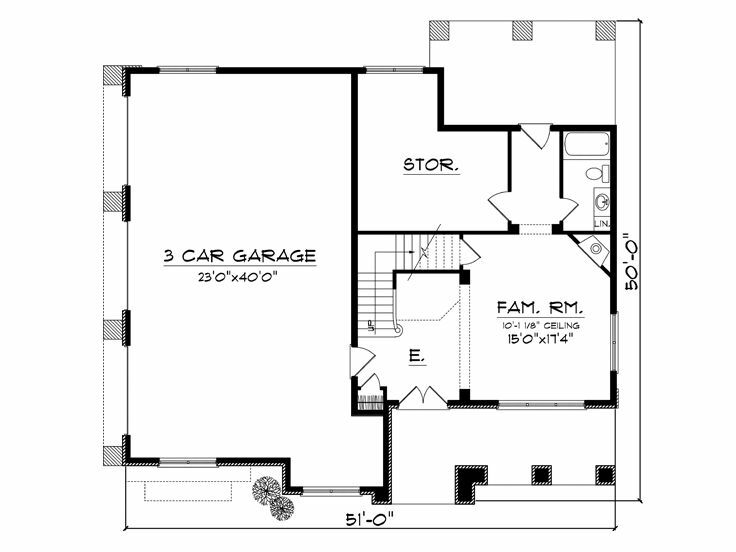 The main floor offers a covered front porch that opens to the spacious family room. A full bath offers convenient. 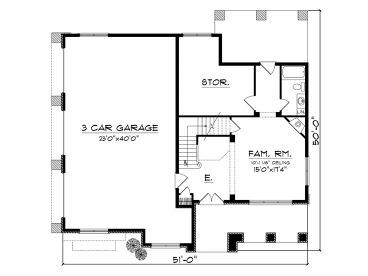 The rest of this level is composed of the 3-car, side-entry garage and storage space. Upstairs, the apartment offers very comfortable living quarters large enough for a family and practical enough to serve as a vacation retreat for a group of friends. The step-saver kitchen overlooks the dining room making light work of meals. Also, it enjoys access to the screened porch and nearby laundry room. 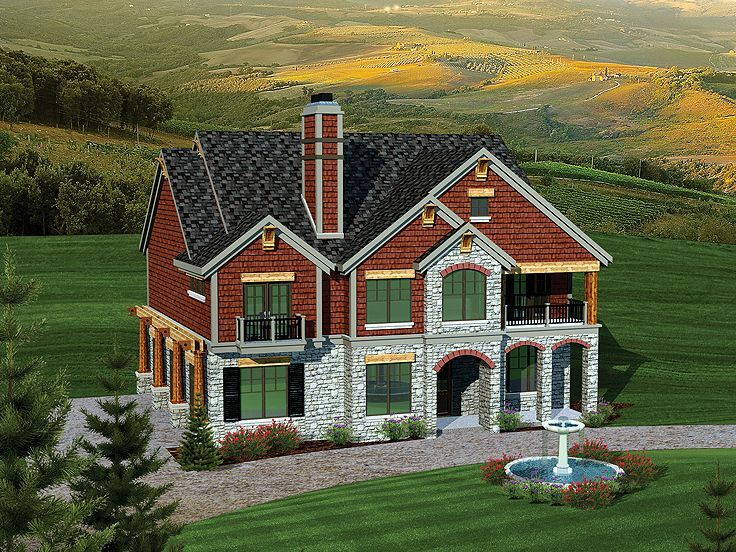 You’ll love the special features in the great room including the handsome cathedral ceiling, fireplace, built-ins and front yard views. 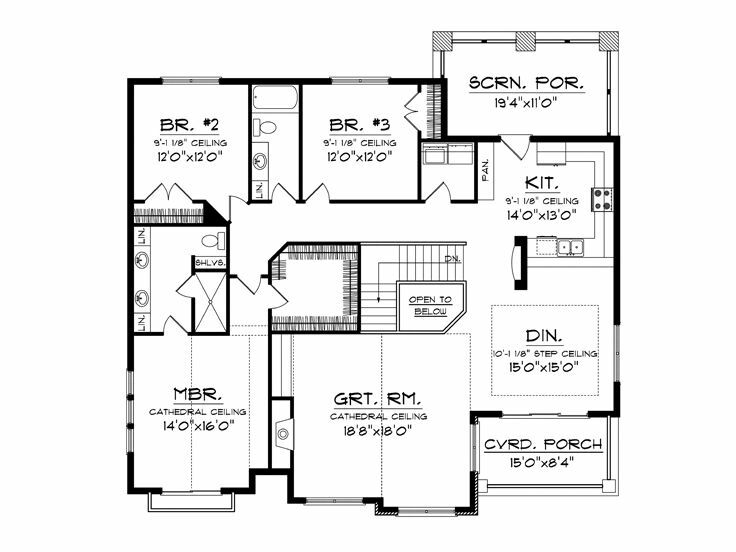 Three bedrooms and two baths accommodate everyone’s needs. With the main living areas raised one level, this garage apartment plan could easily work as waterfront property along a river, lake or stream. 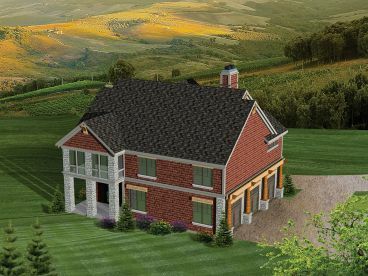 If you’re looking for an upscale garage apartment plan, this unique carriage house with 3-car garage is second to none!